You all know I love to get away and try new things, and after Flavorfeast on Saturday, by Sunday it was time to take a little drive and to get away. It also helped that I had family in town and nothing screams family fun in the fall quite like apple picking, right?! 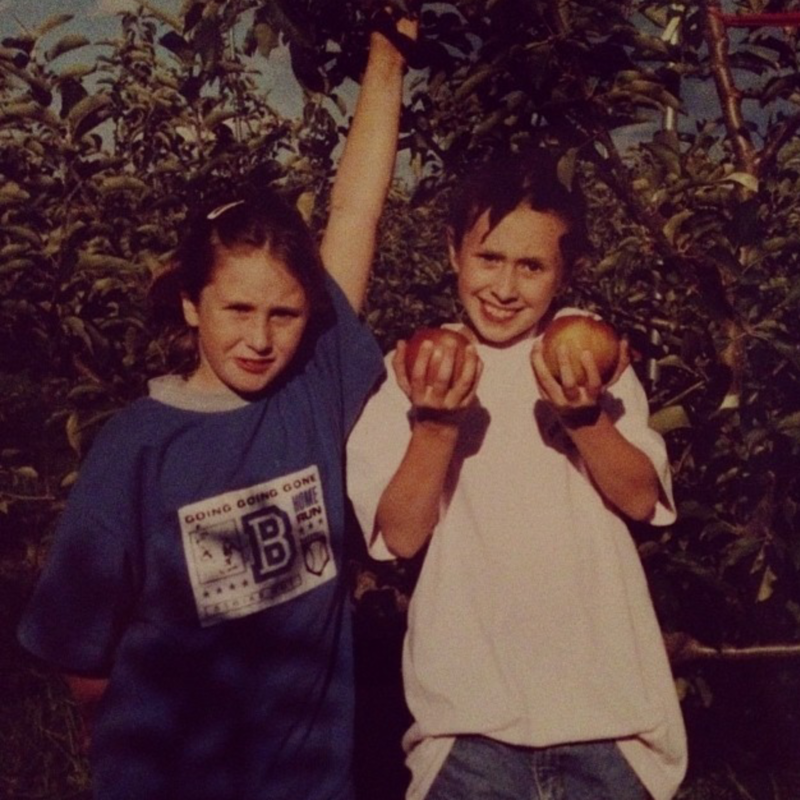 There’s a vintage shot for you of my sister and I at Saratoga Apple back in the 90’s – how bout them apples? HA, I know, I’m totes funny. PS, I’m the one on the left. I clearly wasn’t amused. Anyway, before apple picking on Sunday, we figured that it was a must to get breakfast so we would have enough energy to climb all those trees, and rather than grabbing breakfast in Saratoga before heading to Schuylerville, we decided to check out one of Schuylerville’s finest – Eli’s. Before Saturday, I didn’t really know much about any of the breakfast spots in Schuylerville. But after some research and the help of a friend, I came across Eli’s and figured – why not give it a try? What you see here might look like a stereotypical diner breakfast, but there are some things you should know. That bread there to the right? That’s housemade bread. Molasses and oat to be exact. How could I possibly say no to it? Let me tell you… that bread is enough to keep me coming back to Eli’s again and again. Wow it was good. I’m a bread lover. Well, let me clarify. I’m a carb lover. But sometimes I need to hold myself back so that I don’t blow up like a balloon. In this instance, however, that wasn’t an option. That bread had to be eaten in a timely manner, no ifs ands or buts about it. It was quite soft and light, the crust had a nice flakiness to it, and overall just a hint of sweetness. 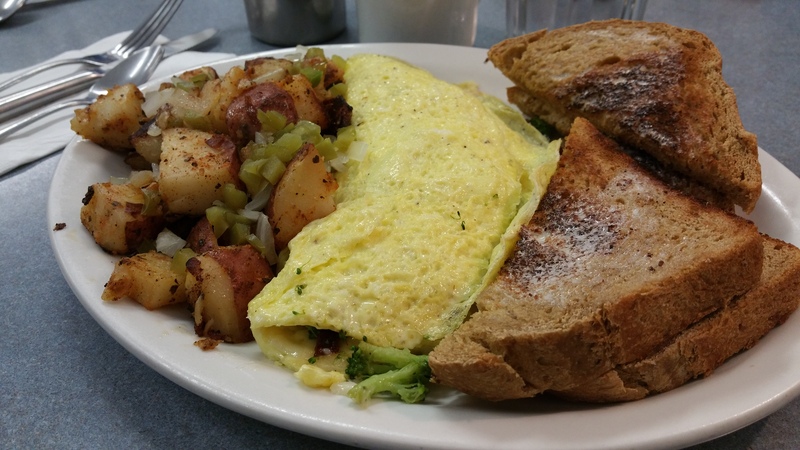 The omelet I ordered was the “Sunday Special”, and was filled with broccoli, onions, bacon, and cheddar cheese. The egg was thin and super light, if I had to guess it was more of a two egg omelet than a three egg, which is totally cool with me. Finally, the potatoes. These could have used a little work, as I ordered the “cajun potatoes” and they really were just cooked with peppers and onions and a little dust of spices that weren’t strong enough to make much of a difference. I needed a little fire with these guys, maybe some sriracha would’ve been helpful. Nonetheless, this tiny little diner set on Broad Street in Schuylerville was a great spot to start our day before some serious apple picking. Also, it’s like 5 minutes from the orchard which was perfectttttttttt! Do you have any hot spots in Schuylerville you think I should know about? Comment below and let me know! 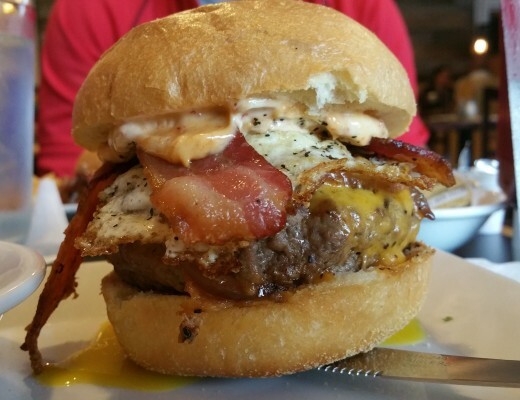 Over The Moon is the best place for breakfast/lunch in Schuylerville. They are closed Mondays and Tuesdays, these are the saddest days of the week for me. We love, love, love the Amigos in Schuylerville. The chef’s specials are usually unusual twists on a common Mexican dish with intense, pleasing flavors. They are a must try. 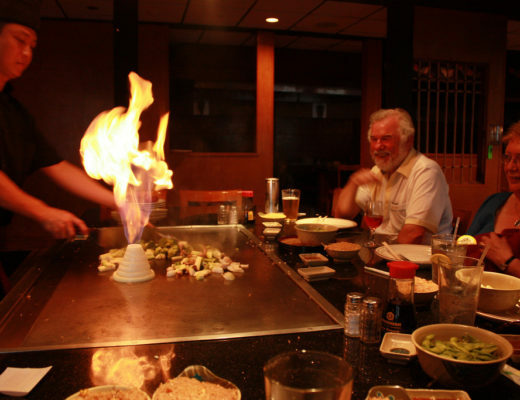 This place has a fun neighborhood atmosphere and if you are on its email list get ready to be entertained! Next time, try the Louisiana french toast! They also have homemade granola in addition to homemade bread. You should definitely check out Over the Moon. Great breakfast – I love the breakfast sandwich but get it with cheddar – including awesome homefries. Wraps for lunch are good too.